Do you remember the first magic words you were taught? Were they “please” and “thank you”? Have you taught the same words to your children? Do they know when to actually use them? Mannerly children stand out in a crowd, perhaps not among their peers, but certainly to the adults who still rule their worlds. Learning to wait your turn, not to interrupt, and to be kind to other people so that they will reciprocate are hard lessons to learn. However, there are many characters in children’s books that are learning those lessons and can offer your child a usually humorous example of how to be on best behavior. So, please read the following book descriptions and request them, politely, from the library. Thank you very much! Nancy has joined the rarefied group of literary superstars occupied by Thompson’s Eloise and Bemelman’s Madeline. However, Nancy represents with her own personal style. 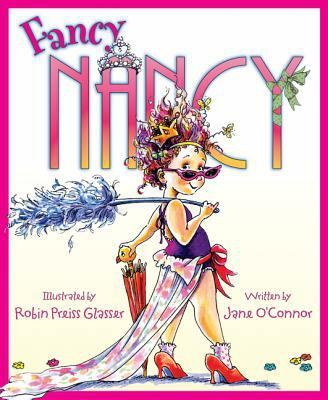 In the very first book that gave birth to a very successful series, Nancy tries to train her family in the art of being fancy, using large words, and dressing up to the occasion. However, it all goes terribly wrong when an embarrassing incident in the restaurant where the family is dining causes Nancy to lose her dignity and, perhaps, learning an important lesson about her own expectations. 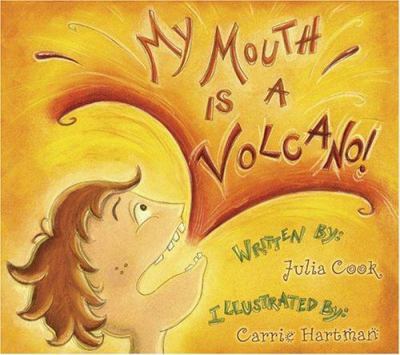 My Mouth Is a Volcano, by Julia Cook. Louis has a volcano mouth. His words wriggle and jiggle and tumble out, even when it isn’t his turn to speak. So, Louis (and the children reading Louis’ story) learn an important lesson in managing their thoughts and sharing words without interrupting. 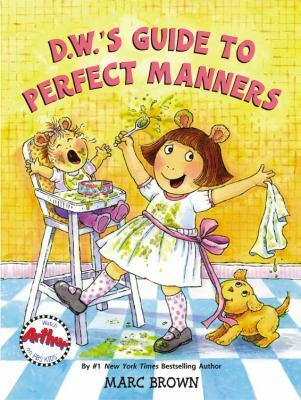 D.W.’s Guide to Perfect Manners, by Marc Brown. D.W. has a goal, to be perfect for a day. She demonstrates perfection by being clean, orderly, and showing good manners. Children reading the book can take a test to see if their manners are as good as D.W.’s. Mind Your Manners, B.B. Wolf, by Judy Sierra. The Big Bad Wolf is now retired and living in the Villains Villas. He has befriended a crocodile who is schooling him on behaving appropriately with other story book characters. When B.B. is invited to a library tea, the other characters attending (many of whom were victimized by B.B. in his younger days) are shocked. B.B. tries his best to behave, but a giant burp nearly blows the library down. A friendly librarian (!!!!!) forgives him and suggests that he isn’t bad, just misunderstood. 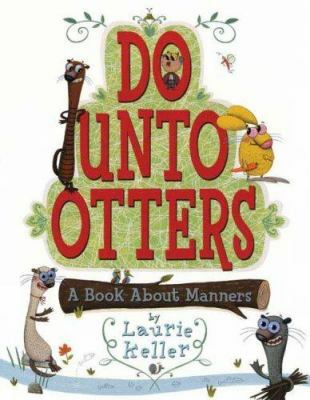 Do Unto Otters: A Book About Manners, by Laurie Keller. The Rabbit family has new neighbors but they are unlike their usual acquaintances: they’re otters. How does a rabbit get along with a otter? It’s a puzzle to the rabbits until they remember the Golden Rule and try to treat others as they themselves would like to be treated. 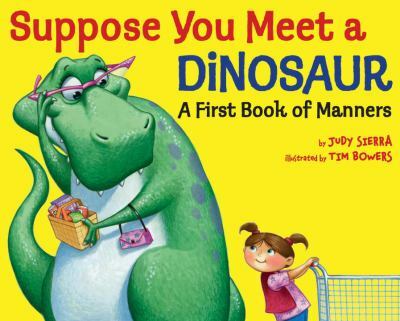 Suppose You Meet a Dinosaur: A First Book of Manners, by Judy Sierra. If you happen to frequent places where you might meet a dinosaur, a grocery store as an example, this book provides guidelines on how to behave and not upset the giant lizard. 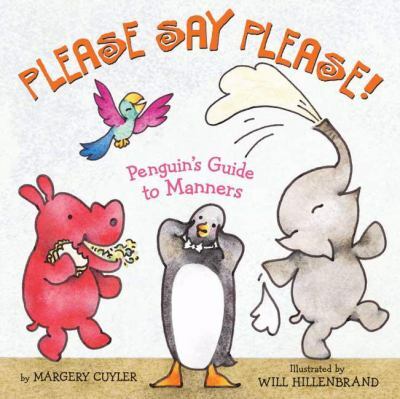 Please Say Please: A Penguin’s Guide to Manners, by Margery Cuyler. Penguin teaches his animal friends how to behave when they are invited for dinner. Rules involve good behavior like a giraffe not burping at the table and an elephant not spraying milk out of his trunk. 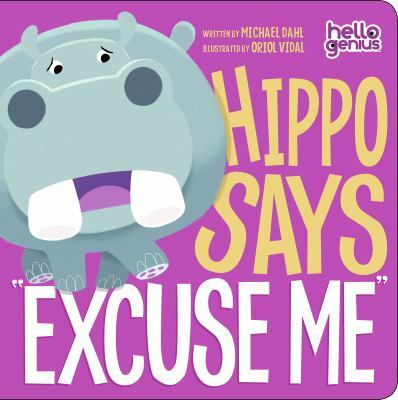 Hippo Says “Excuse Me”, by Michael Dahl. 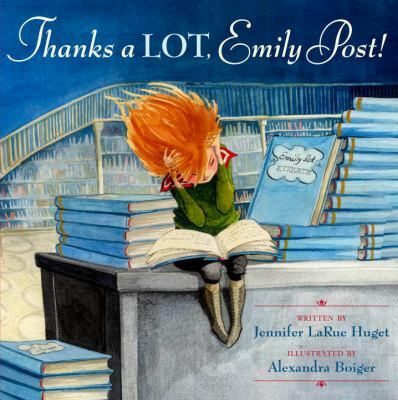 Thanks a Lot, Emily Post!, by Jennifer LaRue Huget. 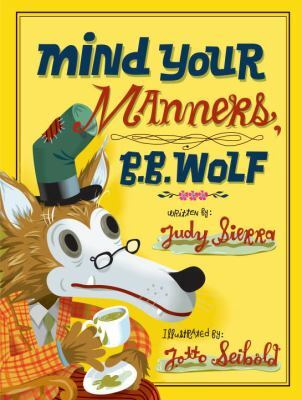 Many years ago, a woman named Emily Post wrote a book about manners for every situation. The children in the story are told by their mother that she expects them to use Emily Post as their guide to good manners. However, the children turn the tables and insist that their mother follows the rules as well. If you’d like to politely request these books, you can by going the BCCLS website and entering the title in the “search” field. You can then patiently wait for the e-mail that tells you that the book is waiting for you at the library. And please return the book on time so that another patron can learn good manners, too. Thank you and you’re welcome.